At Shadow Rock, we desire to be a place where real people can find authentic faith. No pretense. No religiosity. No perfect people. Just real people in community pursuing a sincere connection with God through Jesus Christ. Shadow Rock is a place where it’s safe to be yourself, no matter where you’re at on your spiritual journey. Feel free to dress casual or however you are comfortable. Regardless of your background, you are welcome. We have a full compliment of services for your entire family. We would love to host your kids in our nursery, pre-school, and Children’s program. 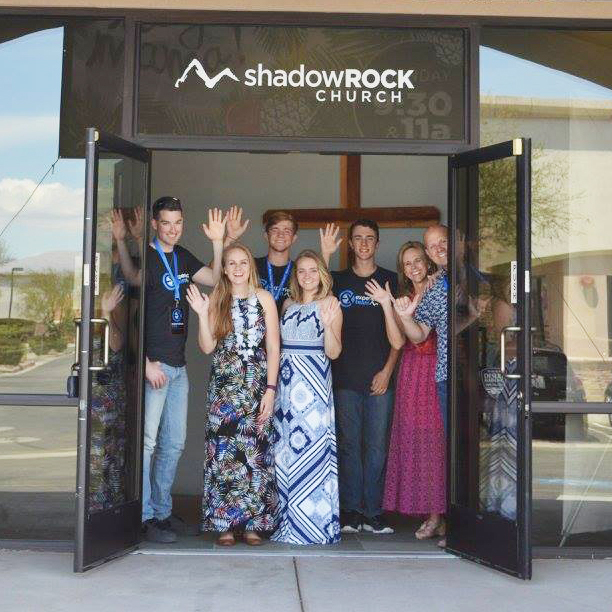 Shadow Rock is a caring community of people who are striving to connect with God through faith in Jesus Christ. Everything we do is built on the foundational purpose of helping people connect and grow closer to Jesus Christ. At Shadow Rock Church, you can know this is a safe place to explore faith. Whether you’ve never set foot in church before, or you’ve had some rough experiences which church in the past – you can know that you are among friends. Shadow Rock is made up of people of all kinds of backgrounds and perspectives. Let’s journey together as we start where we are and take our own personal next steps.